Look into the field north of highway 220 in between Amana and Middle Amana and on any given summer day you might be looking at a sea of RV campers and trailers. The Amana RV Park and Event Center play host to rallies of varying sizes with several climate controlled buildings to house the rally’s events. There are over 300 full hookups and 3 building for meeting space. The RV park is located about 1 mile from the village of Amana, it’s a great location. Rallies love it since the Amana Colonies are a National Historic Landmark and offer the attendees a variety of options from history tours, shopping, wine tasting, dining, and golf to name a few. If you a looking for a venue to accommodate large parties or shows there are several to choose from. The RV Park’s buildings host quite a few dog and antique shows during the year but there are also other spots in town depending on the size of your group and the accommodations that you desire. Price Creek Event Center is the newest venue and holds up to 250 guests for wedding and receptions. A beautiful space with a bar area and kitchen area for a caterer this is a great choice for a wedding reception. The Ox Yoke Inn has a lower level meeting area and several dining rooms that can be used for private dining. This a popular place for corporate outings, anniversary parties or special events. 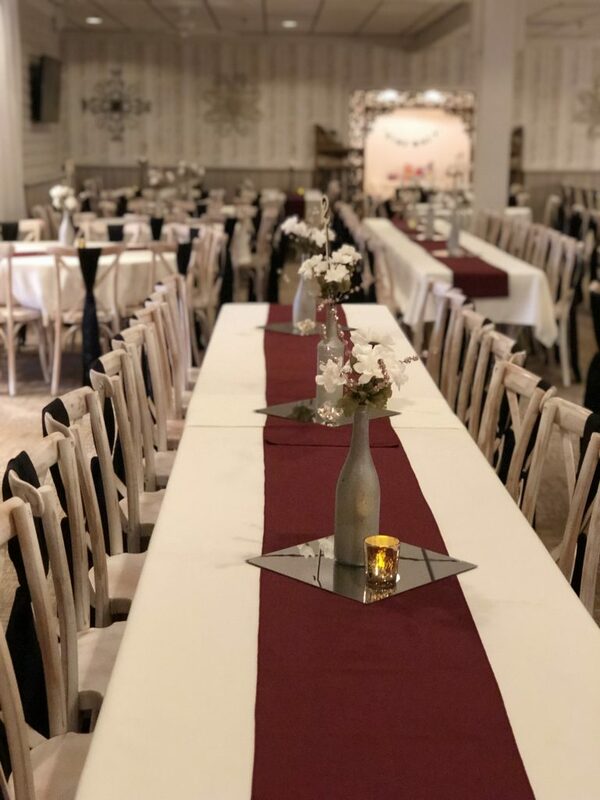 The Ronneburg Restaurant’s upper level, which is known as the beer garden offers a beautiful view south towards the mill race and farm fields and a creates lovely space for bridal showers and smaller corporate events.